A number of materials used in green roofs are from recycled sources, such as the membranes and growing mediums, such as crushed porous brick, which is used by some suppliers. In London, uniquely, there has been a move to use recycled secondary aggregate as the growing medium, preferably from the original site.This reduces the need for waste disposal to landfill and reduces the transport miles/distances for used for disposal of waste. 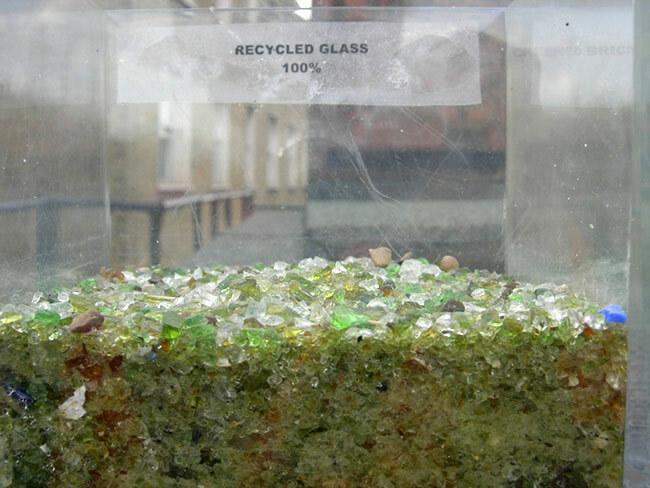 This meets UK government targets for the reuse of secondary aggregates and where reuse from site can reduce the impact of lorries in terms of importation and exportation of materials.